Call 702-462-9200 right now to have all your questions answered for free. There is never an obligation! My name is Marc Gabriel and I can help you in getting your friend or loved one out of any Las Vegas jail or anywhere else in the USA. My friendly staff and I are committed to providing the most professional, fastest and most convenient bail bonds service anywhere. Professional, because our clients demand to deal with professionals that look and act the part. Fast, because of our central location in Las Vegas, bail bonds can be posted in just minutes. Convenient, because you can complete a bail bond transaction by phone or online. Bail is the immediate release of an accused person through the payment of a sum of money. The sum of money that needs to be paid is called the Bail Amount and is determined by the jail or judge and is based on the charges. Your friend or loved one just got arrested. Guilt or innocence does not matter at this time because they will be transported and booked into a Las Vegas jail. They will remain in jail for the next 48-72 hours until they see a judge (you can get them out of jail before they see a judge read the next paragraph on how). The judge will determine if there is enough evidence to charge and keep that person in jail. Almost 9 out of 10 accused people will not be released by the judge. They will remain in jail until their case is finished which could take months or they can get immediately out of jail by posting a bail bond. Don’t waste any time and help someone out of jail immediately. The fastest option to get out of jail is to immediately post bail right when an arrest is made. This is the most expensive way to get someone immediately out of jail since the bail amounts are usually in the thousands or tens-of-thousands of Dollars. If you choose this option make sure you use a credit card or certified funds and go to the jail and pay that bail bond amount. This is the cheapest and most convenient way to get your friend or loved one out of any Las Vegas jail. The 15% was originally determined by the NV Division of Insurance and is required by NV Law NRS 697.300. 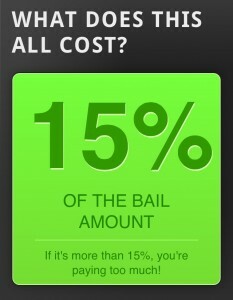 This 15% has to be paid to an accredited and licensed Bail Bonds Company such as us. If anybody requires you to pay more or less than 15% they are acting illegally! 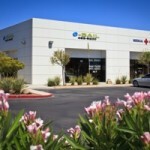 We are fully licensed by the NV Division of Insurance. Do not do business with any Bail Bonds Company in Las Vegas that does not have a current license. 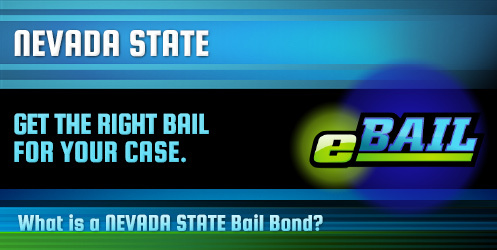 The NV DOI requires every bail bond agency to charge 15% of the bail amount as required by Law (NRS 697.300). Anyone that charges you more or less is acting illegally. Doing business with such a company could cost those persons freedom and great loss of money. Bail Bonds have to be completed in a strict fashion and it is of the utmost importance that you can trust that company. 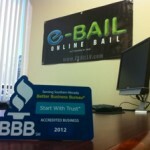 We are the only Las Vegas Bail Bonds Company accredited by the Better Business Bureau with a great A rating. Other companies do such bad and unethical and illegal work that they will first lose their accreditation with the BBB first. Then they will have also investigations into their license which will be suspended and finally go out of business. We also offer easy payment plans. The 15% fee has to be paid as a matter of Law, there is no way around that to make it cheaper or a better deal. The solution is that we custom tailor a payment plan that will work for your needs. Don’t worry we are the only premier bail bonds company in Las Vegas that guarantees to finance. Yes, you read right: ZERO DOWN. 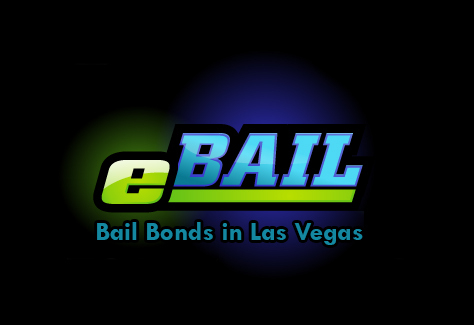 We are the only Bail Bonds Company in Las Vegas that offers no money down. For your Bail needs do not gamble on just any Las Vegas Bail Bonds Company with a run-down-looking office in a scary part of downtown. Come to visit our beautiful office at 3100 E. Charleston Suite 108.